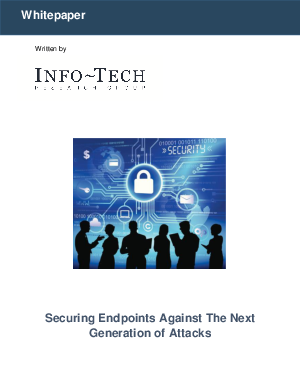 In today’s ‘always on, always connected’ world where sensitive data is almost certain to be stored electronically, organizations can no longer afford to operate without some form of Endpoint Protection. The costs related to network downtime or stolen data resulting from malicious attacks significantly outweighs that of maintaining an up to date solution. Although the unified nature of Endpoint Protection has made extensive security functionality easier to manage, selecting the right products can be a difficult task. This whitepaper aims to explain how the core functionality of Enterprise Protection suites have developed, what to look for in a solution, and which technologies will need to be considered in the future. In today’s business environment, it is no longer a question of whether to invest in Endpoint Protection, but a question of which solution is right for your organization.